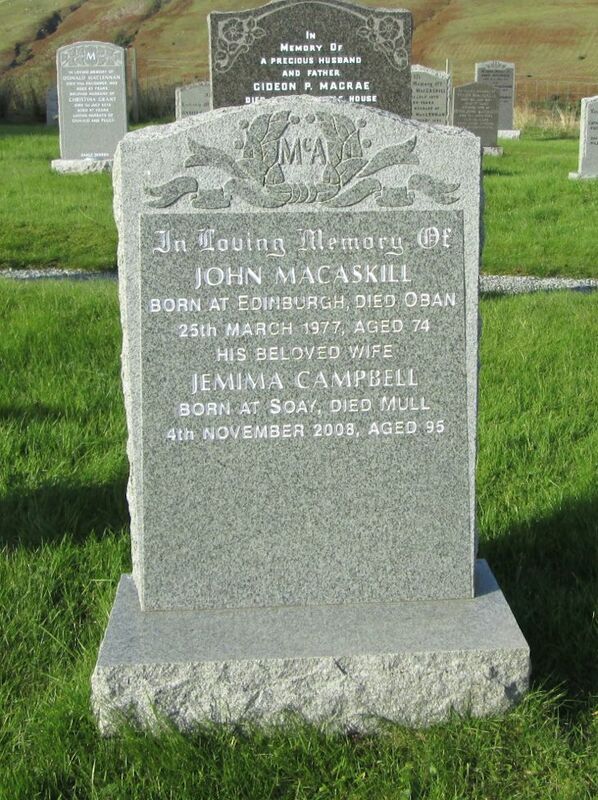 Skye Gravestones | John & Jemima (Campbell) Macaskill. John & Jemima (Campbell) Macaskill. In loving memory of/JOHN MACASKILL/born at Edinburgh, died Oban/25 March 1977 aged 74/JEMIMA CAMPBELL/born at Soay, died at Mull/4th November 2008, aged 95. Picture Added on 15 September 2018.